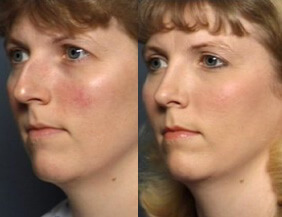 Double Board Certified Facial Plastic Surgeon Dr. Adam Stein has over 26 years of surgical experience and has been practicing the art of facial plastic surgery in the Raleigh-Durham area for nearly 20 years. 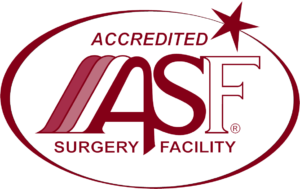 To become a facial plastic surgeon, Dr. Stein underwent years of intensive training and surgical residency after completing medical school. Never satisfied with “good enough,” Dr. Stein took his training a few steps further than most in order to gain exceptional skills and experience. "Dr. Stein is AMAZING and I would never trust my face with anyone else. Nice staff, great procedure, awesome guy. Highly recommend and I will go back for more treats!" "The entire experience at this clinic has been a pleasure. The staff are pleasant and caring, and Dr. Stein has worked wonders on my appearance. I not only feel better, I also look better. He has done more for my quality of life than he will ever realize! I am a professional artist. I believe that in his work, he is an artist as well." "Everyone at Dr. Stein's office has been amazing. After 20 years of contemplating rhinoplasty I'm so happy I finally did it. The entire process was super easy from start to finish. If you are looking for a surgeon to coddle you, that's not Dr. Stein. If you are looking for a true professional with many years experience, and who is a straight shooter, Dr. Stein is the doctor for you. I can't imagine a more perfect nose for me! Thank you, Dr. Stein!" "Words can not express how happy I am with the results, I can look in the mirror now instead of avoiding it, Dr. Stein made me look refreshed and younger. Dr. Stein answered all my questions, told me exactly what was going to be done, how recovery would be and what I could expect afterwards. I felt at anytime during this journey, I could call him or his great staff and they would take care of any concerns that I might have had. Dr. Stein and his staff took great care of me, I honestly can't say Thank you enough!" "I have always been unhappy with my nose and it's masculine appearance. I have a very small face and frame and it just never seemed to fit. Since the first consultation I knew Dr. Stein was the surgeon I wanted to go to. He was very mindful and observant of every little detail that I did not like. Dr. Stein and his whole staff were very friendly and extremely helpful. I loved my experience and my new nose is amazing! 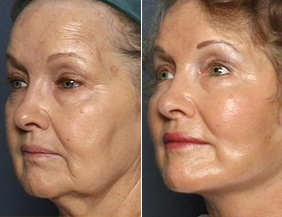 I would highly recommend Dr. Stein to anyone looking to have any facial cosmetic procedure." 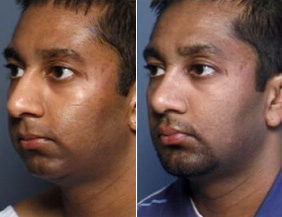 "I am extremely pleased with the outcome and with Dr.Stein's talent! My nose looks even better than I expected and keeps getting better each day. This was one of the best decisions I have ever made and I am so glad I chose to come here to have it done." 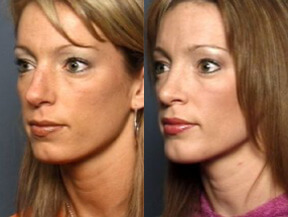 "My rhino/septoplasty experience with Dr. Stein was AMAZING. Not only were the results better than what I could have imagined, but everyone at his office was so polite and wonderful to work with. 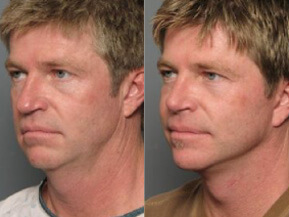 Thanks to Dr. Stein I can breathe better and look better - in a perfectly natural way!"